This music served a variety of purposes. Some songs were poetic battle cries that motivated the Jacobites to pursue their goals, some were sad ruminations upon those that were lost, and some took a darkly humorous outlook on a seemingly hopeless situation. Regardless of their intended purposes, these Jacobite songs are poignant reflections on this period in history, including not only the Jacobites’ story, but their spirit. These songs are performed even today. I wanted to pick out a few of my favorites from Newbigging’s book, and include some audio so you can listen to them too! I didn’t think I’d be spending my week listening to bagpipes, but I can’t say I’m upset about it; rather, I’ve been pleasantly surprised at how much I enjoyed it. The first song that really interested me was “Hey Johnnie Cope,” and according to Newbigging, “there are few more popular songs in Scotland today than ‘Johnnie Cope’” (73). Johnnie Cope was a general in command for the government, and at the Battle of Prestonpans, the Prince’s army achieved a rare victory. “Hey Johnnie Cope” mocks Cope for his supposed cowardice in this battle, and celebrates the Scottish victory. Here’s what it sounds like, sung by Alastair MacDonald, and here are the full lyrics. You can certainly hear the mocking tone here, and the upbeat lilt of the song. Though Johnnie Cope was an accomplished general, the song does an excellent job of making him seem to be a complete fool. The Scottish sense of humor is apparent in the lyrics, which ask Cope with irony if he is “wauking” or “waking” yet. Because of his slowness to act at Prestonpans, his army lost that battle. “Hey Johnnie Cope” ensures that history will not forget his mistake. Another song that caught my attention in Newbigging’s book was “It Was A’ For Our Rightful King,” which has a very different tone than “Hey Johnnie Cope.” It was written by the poet Robert Burns and eventually set to music. Though “Hey Johnnie Cope” was written after a win in battle for the Jacobites, “It Was A’ For Our Rightful King” was written after a terrible loss. 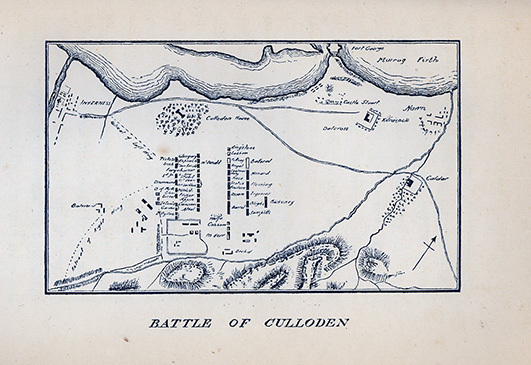 The Forty-Five, or the Battle of Culloden, was the Jacobites’ final loss, and it was a brutal one. 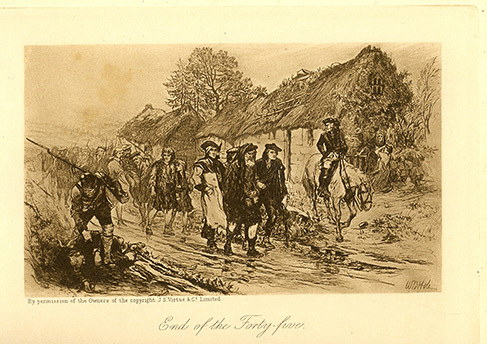 Many of the surviving Jacobites were executed, and some others fled with James after they realized that their dream of the House of Stuart regaining control of the throne had died. “It Was A’ For Our Rightful King” is so special, and kept my attention so well, because of its spirit. Here’s what it sounds like, and here are the full lyrics. The lyrics are incredibly powerful, and maintain the will and strength of the Jacobites, even in defeat. You can definitely hear the grief and sadness in the tone of the song. It permeates, and the mood is incredibly forlorn. What I love most about this is how strong the lyrics are, and though the Jacobites were crushed in The Forty-Five, this song preserves their passion for their cause. Though it was written for those forced into exile, it still maintains their love of their country, their people, and their principles. My journey into the world of Jacobite music has reminded me how important the narrative techniques of song are at recording history. 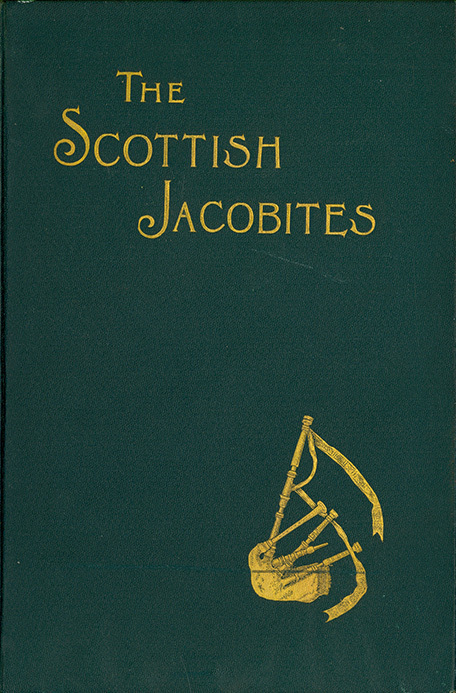 These Jacobite songs all preserve the narrative of the Jacobite movement, and keep the the memory of those who were lost intact. Music is a way to connect to the past and bring the historical into the present, as made clear by the modern performances of these songs today. Their narrative and sonic qualities mingle to create an incredible historical artifact.